If you've ever wanted to put your baby boy in a tie, you'll agree with me that they are nearly impossible to find, there are absolutely no infant sizes, and if you do find a toddler tie, it is always clip-on and almost always too embarrassing to have him wear. When I found out I was pregnant with a boy some years back, I knew right from the beginning that I wanted him to wear a suit and tie every Sunday to church--just like Dad. Then the search began. I finally found an infant suit at a wedding boutique and I gave up my search for a tie quickly. Since I make all of my daughter's hair bows, I decided to give tie-making a whirl. After I made my first tie, I discovered a sad truth: infants do not have necks. There is nowhere for the tie knot to go. It was time to try the bow tie. I created a pattern that is very simple to make and sewing minimal. I first starting looking for silky fabrics to sew bow ties, but everything looked cheap, besides the occasional prom dress type fabric. 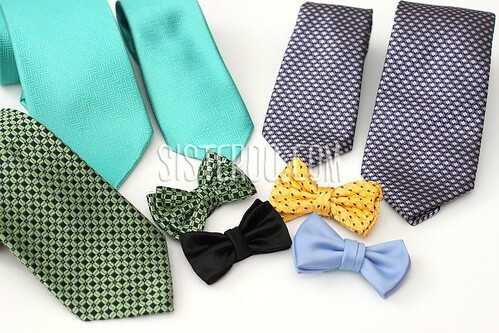 I decided then to buy an extra tie of whatever I bought for my husband and was able to create adorable handsome bow ties so my men could match. One adult tie can make probably 2-3 bow ties. My regular non-bow tie pattern is also fairly easy. My son's neck finally started growing at about 6 months and I was able to start him on ties. When I say tie, I mean a real tie. When he goes to church, it is with a half-Windsor knot--no clip-ons or zipper ties here. Although I'm not prepared at the moment to give you my bow tie and tie patterns, when I do get them ready I will likely put them up on the site free of charge, because babies in ties are too cute to pass up. Tips: If you do put your infant in a bow tie (mine was 7 weeks when he first wore his), you may need to make a collar extension for his top button on the white collared shirt. I made this for my big-necked-boy with a small strip of white elastic. I sewed a baby button on one side and made a slit on the other and fit the elastic nicely between the button and button hole giving him an extra inch or so of space (his white shirt would have choked his neck elsewise). Baby boys make the handsomest of men! Dying for these patterns!! I can't wait until they are up! Yes, PLEASE post these patterns! I want to make a baby tie for my new little man!!!! Brilliant! I have had NO luck with decent looking ties for my boys. Buying two of what your hubby wears is perfect. love. The cutest is when you can actually find baby ties that will match the daddy's tie! Love that green and blue tie, BTW. 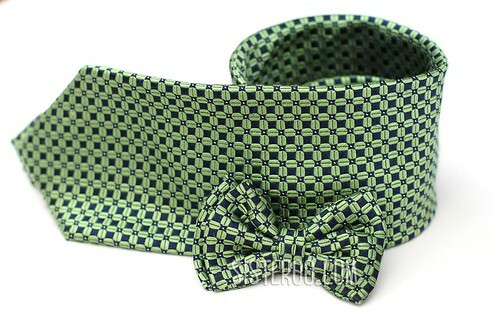 tie/bow tie patterns yet? I am in need! Eagerness toward re making plans your lifestyle that mainly targets your weight reduction plan and workout. Different fast weight https://www.prohomeworkhelp.com lowering techniques only bring about water weight loss or muscle mass loss. A true weight loss requires time patience.